So, September is almost over… which. seems UNREAL. And, I still haven’t done my freezer meal of the month post yet. Sorry, this is really late, but this month I worked extra hard on coming up with not one, but THREE freezer meals for you. I tried three different meatball recipes and how they worked out as freezer meals with great success! I would say everyone in my household is tired of eating meatballs, but… Autumn peaked in our freezer today asking me if we had any meatballs left? lol! Good for spaghetti, meatball subs, etc. 2. 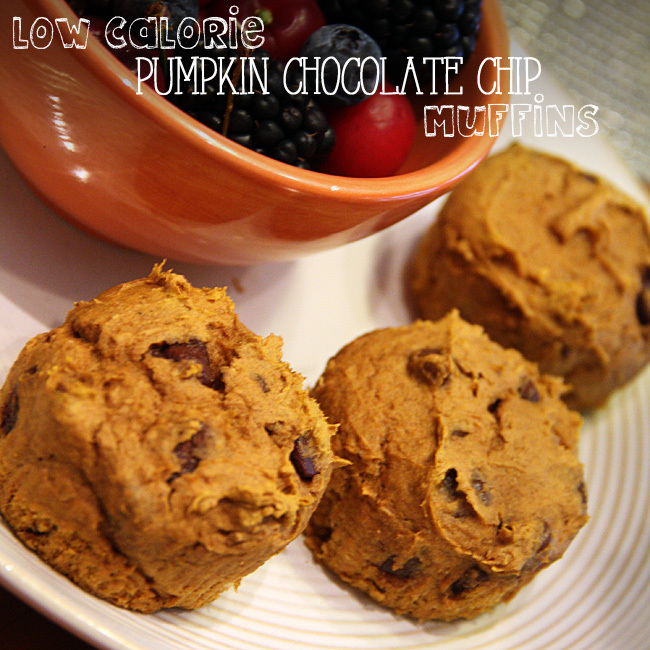 Roll into 1 1/2 inch balls and place on foil-lined, sprayed cookie sheet. 3. Bake at 400 degrees for 17 minutes or until done. 4. Recipe makes approximately 36 meatballs. 5. 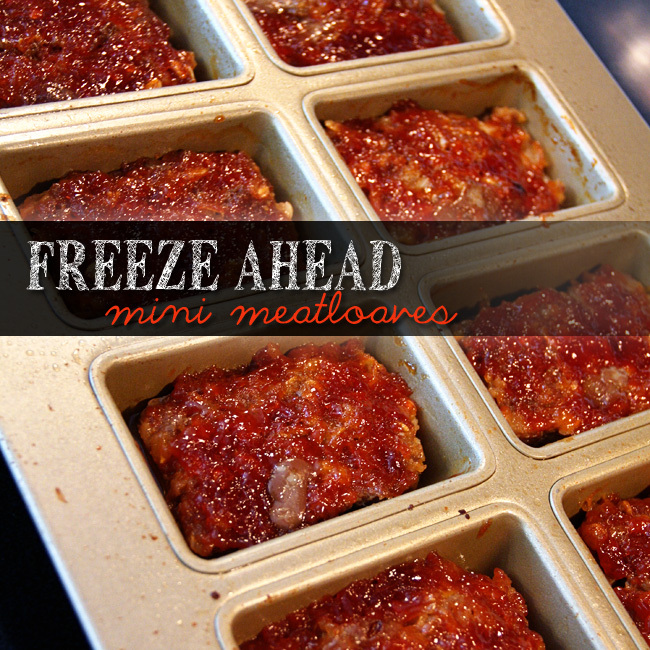 Cool extra meatballs in refrigerate and then place loosely in a freezer bag to store for future meals. I place the meatballs in the refrigerator the night before dinner, so that they thaw out safely. Then, if you are using for spaghetti, place the meatballs in with the spaghetti sauce for 10-12 minutes to warm. 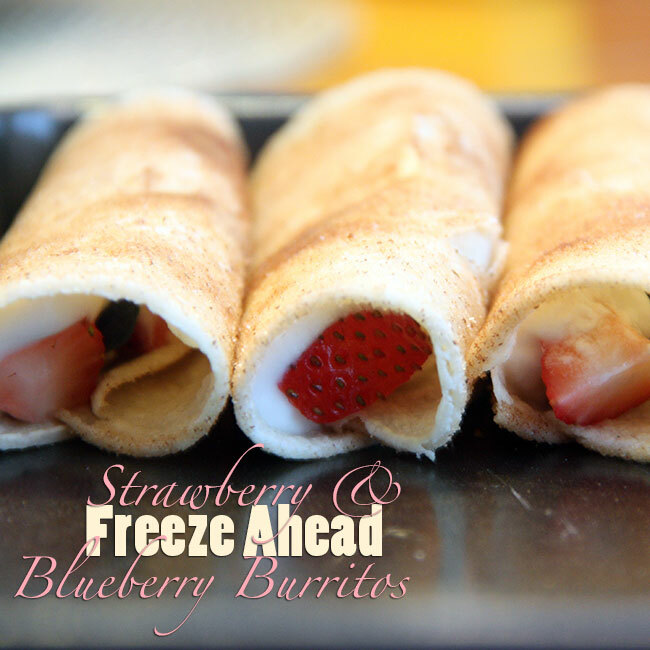 Perfect for a snack, party/finger food, etc. 2. 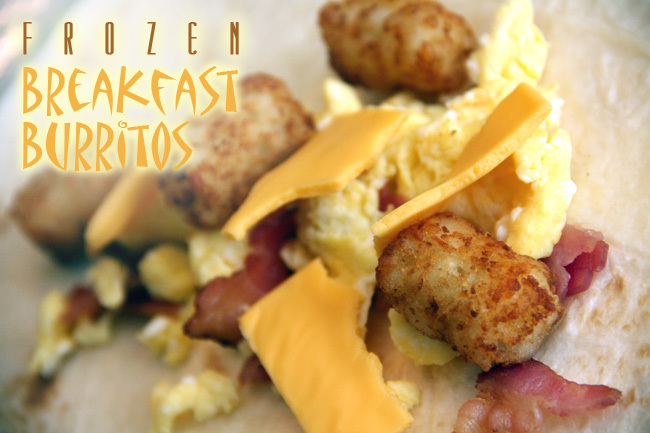 Mix together the ground chicken, Panko, egg, garlic and onion powder. Season with salt and pepper, to taste. 3. Roll into 1.25” meatballs, forming about 24 meatballs. 4. 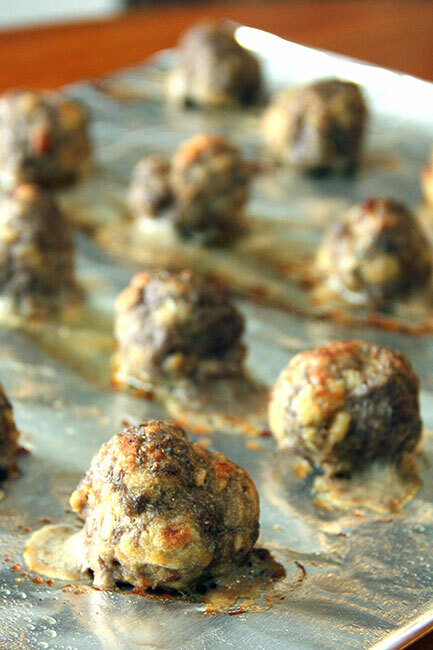 Bake meatballs on a foil lined cookie sheet sprayed with cooking spray. Bake for 4-5 minutes, until slightly browned. 5. Place meatballs into a slow cooker with buffalo sauce. Cook on low for 2 hours. 6. 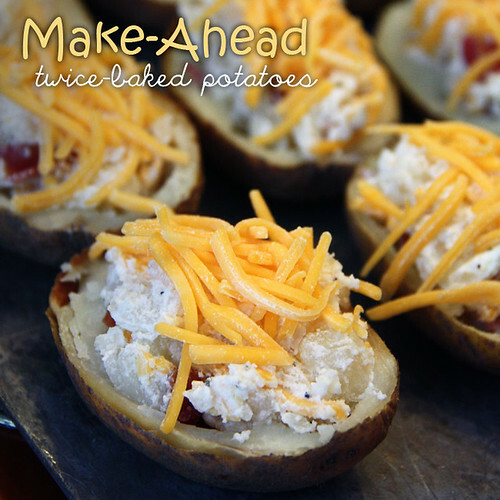 Serve immediately, with bleu cheese dressing drizzled on top. 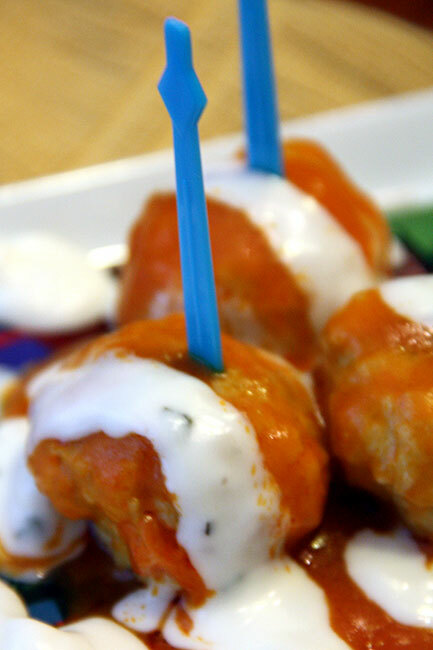 Do not add buffalo sauce to any meatballs you want to freeze. 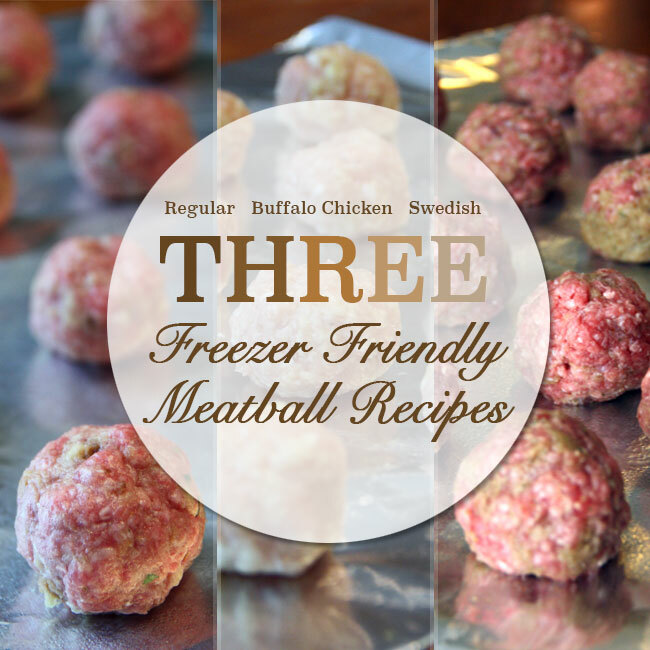 For portion that you want to freeze, cool in refrigerator and then place meatballs in freezer bag. When ready to prepare, thaw out in refrigerator overnight and then place in slow cooker with 3/4 cup of buffalo sauce for 2 hours. 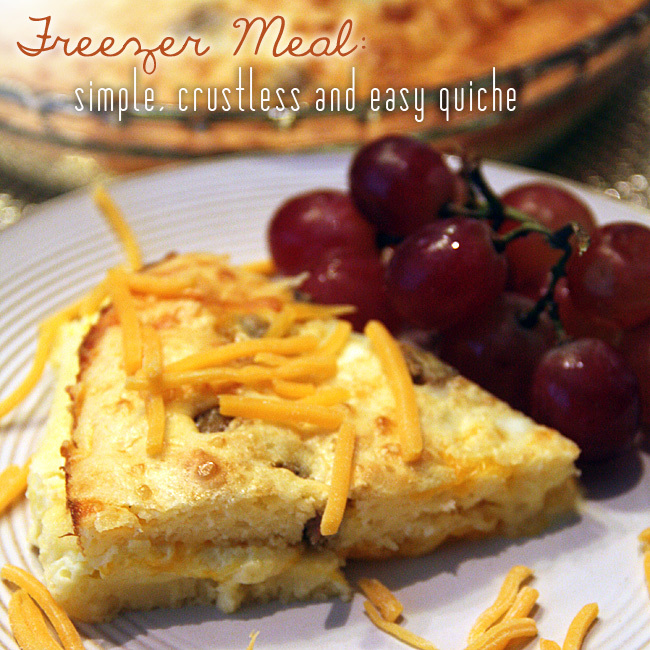 Perfect for dinner, served over plain or egg noodles or mashed potatoes. 1. Heat the butter, in a skillet, over medium heat. 2. Saute the onion, garlic, allspice, salt, and white pepper, for about 5 minutes, or until garlic and onions are soft. 3. Add the milk and Worcestershire sauce to the mixture, and bring to a simmer. 4. Dump the breadcrumbs in a bowl. 5. Pour the hot skillet mixture over the breadcrumbs and stir together. 6. Add the beef, pork, 1 egg and 1 egg white to the bowl, and mix until combined. 7. Wrap foil around a cookie tray and spray with a cooking spray. Roll the meat into 1 inch balls, and place on the baking sheet. One recipe makes about 35-40 meatballs. 8. Freeze your meatballs for 25 minutes. 9. Heat the oven to 400 degrees and bake the meatballs for about 20 minutes, or until cooked through. 10. 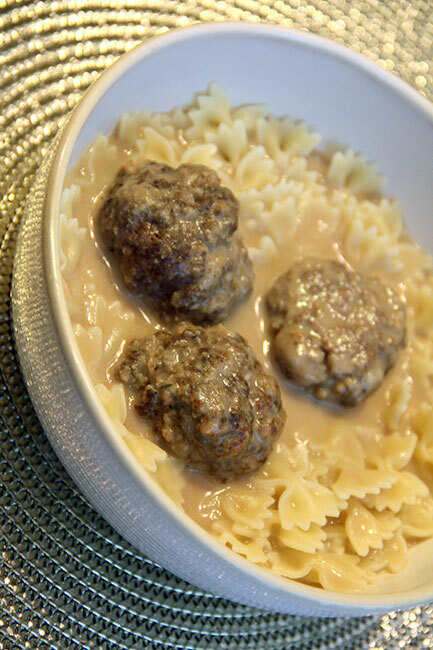 If you want to save some of the meatballs for future meals, let them cool off in the refrigerator and then put them in a bag and store in a freezer. Let them thaw out overnight and let them cook for 10-15 minutes in the sauce to warm. 1. Melt the butter in a skillet and add the flour. Cook for a few minutes while whisking. 2. Pour in the beef broth and Worcestershire sauce, bring to a simmer. 3. Add the heavy cream and the cooked meatballs. Let simmer, until the gravy thickens, about 10 minutes. Season with salt and pepper, to taste. 4. Serve as is, or on top of a bed of rice, noodles, or potatoes. 5. 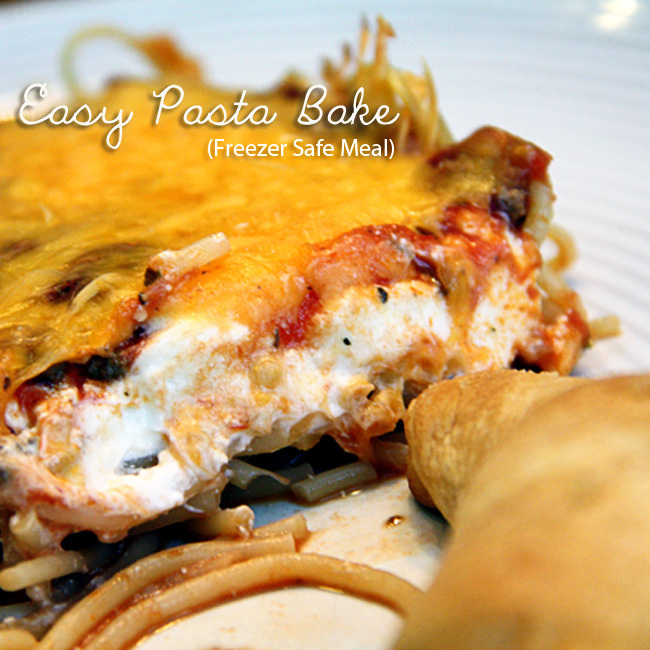 To save the sauce for a freezer meal, put the sauce in the refrigerator to cool. 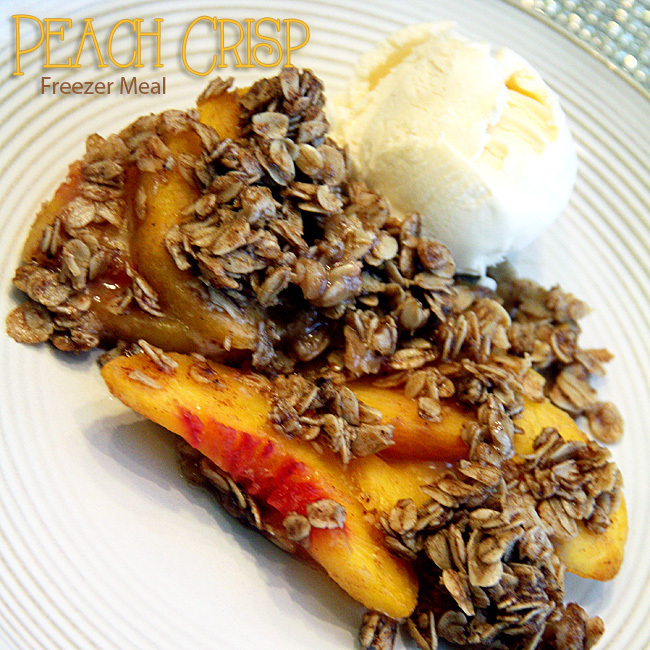 Once cooled, divide in half and put each portion in a separate bag. 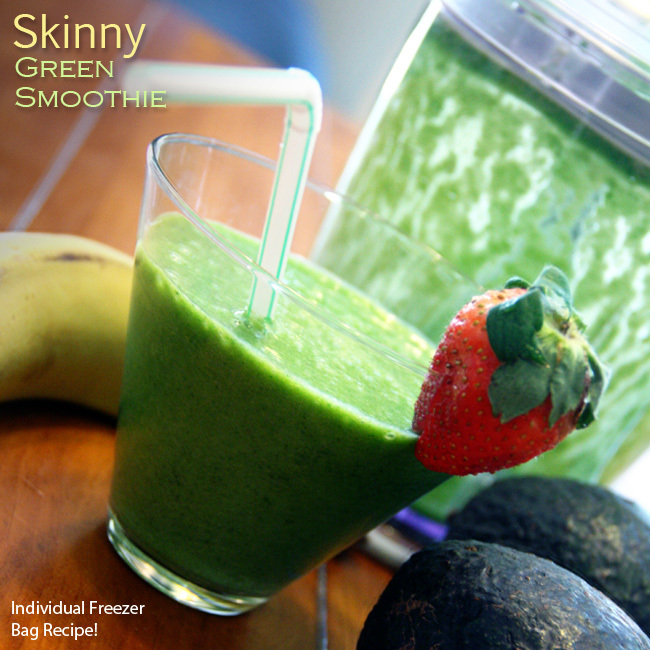 Put in the freezer and use each bag for one individual meal. 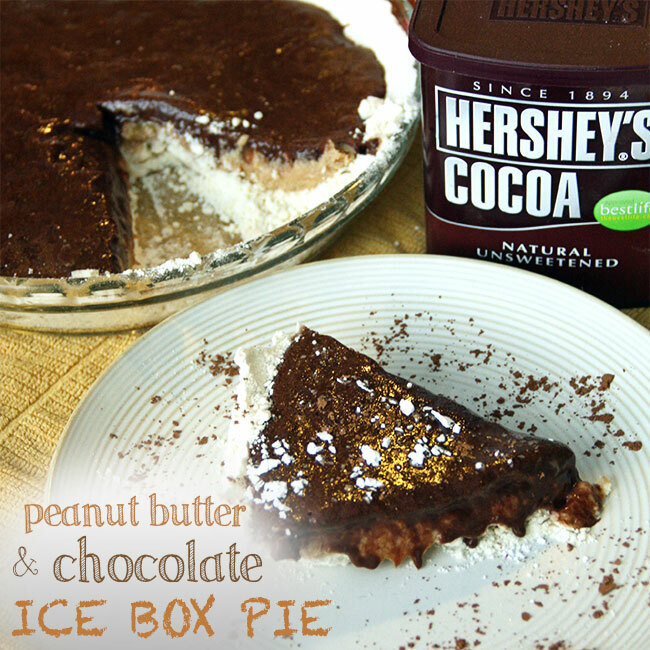 To thaw, place in refrigerator overnight and once thawed, cook on stove top until warm.